One of the books I loved growing up was a literature textbook that belonged to my mother. She told me her parents had bought it for her after she had flunked her English course so she could study it before she had to take the class over again. 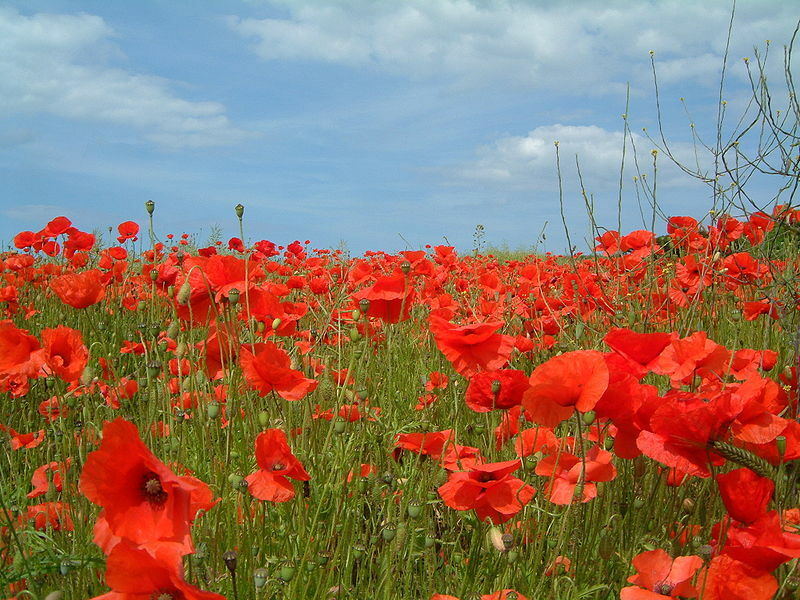 But my favorite of all the poems, which I also memorized although at the time I understood it less than Byron’s narrative, was “In Flanders Fields.” I simply liked the rhythm and music of the words. Today I understand it well. Sadly it’s as timely now as it was at the end of World War I, when John McCrae wrote it. Lot of backtracking during my writing today. What time did that restaurant open? What was the name of the Bed and Breakfast on the beach? What was Jeff’s last name? Etc., etc, etc. Thankfully I was able to find what I wanted through a word search. I added the information I needed to my character/time frame/place-name notes. It would have been nice if I had jotted that information down when I originally wrote it but how was I to know I would need that information again. I’m learning, however, and that was what this challenge for me is all about. And among the things I’ve learned is that I work best if I start my writing at 5 a.m., especially since most of the rest of the world – including my daughter and her husband who got back from their cruise yesterday – are still asleep. The secret to doing this is to get to bed early. And despite my flipping back and forth through what I had already written, today’s writing went speedily, more so than any day. I had my 2,000 words finished by 9 a.m., despite trying to remember and get up every half hour and stretch my neck and back. . The “Force” was with me today. Hope it’s with all you other NaNos out there, too. We had to memorize “In Flanders Field” in grammar school. Every veteran’s (or Memorial) Day, some kid would have to get up at school assembly and recite it. Those words never leave you. Congratulations on your word count. You’re doing all the good. What a beautiful poem. I’m embarrassed that I never came across it before. Love the poppies. Thanks for all the nice comments everybody. I loved every one of them.